On June 25th 2015, I was invited to attend the annual Volunteer Recognition Dinner Event at Frog Hollow Neighborhood House and it was amazing. 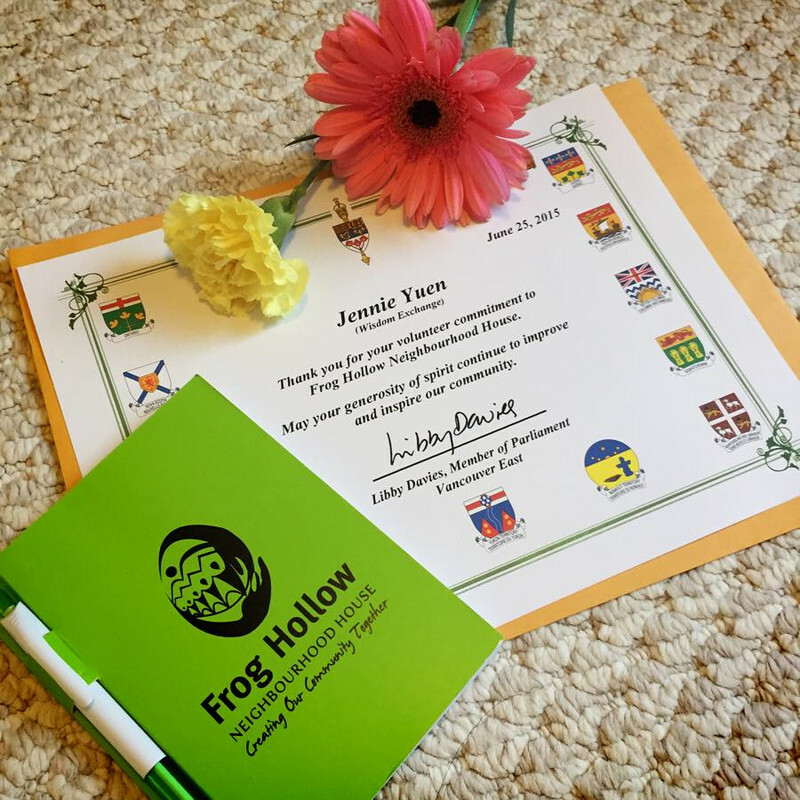 It was an event where volunteers and staff get together to celebrate all of the hard work that was contributed at Frog Hollow throughout the year. The community worked together and assisted each other to help run programs smoothly and successfully. I feel very grateful to be part of this community at Frog Hollow Neighbourhood House. I think this year, I realized I have been a lot more active as event photographer, graphic designer, and blogger. The work I do is my passion and I enjoy every minute of it! I want to thank everyone for the support and the friendship. It means a lot to me. I also had the opportunity to meet and chat with MLA, Jenny Kwan in person. She is a wonderful woman and very inspiring. It's finally summer and it's time to take out the summer apparel that's been sitting behind your closet. As I was cleaning out old clothing, I realized hubby's wardrobe needed a new update and maybe a new look. I was recently introduced to MaddaFella and browsed through their online shop. They have some great clothing with nice designs and vibrant colors. I think I should tell my hubby to check it out. 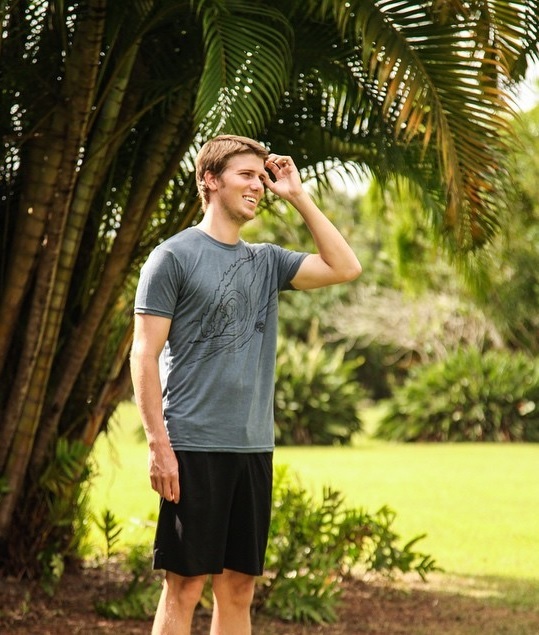 Browse through the online store to see a variety of designs from T-shirts, Shorts, Polo's, swim trunks, accessories and more. Looks like they have the perfect clothing for all day comfortable wear offshore and all night on the town. MaddaFella.com originated from the beautiful surroundings of Key West Florida. We've played, lived and fished in this area on and off for the past decade...and have been impressed with the good nature of the people, the thriving art and creative communities, the water...and all that comes with that gorgeous, endless playground, and the vibrant colors...particularly as the sun sets in the west. Madda Fella is Caribbean slang used to express surprise or astonishment. It’s that moment when a trophy fish bites so hard you almost fall out of the boat. It’s that instant when your seaplane hits the water and you’re suddenly floating on endless blue. Madda Fella is all about the unpredictable excitement of Key West adventure, and the namesake and inspiration of our brand. WHERE TO BUY: MaddaFella Clothing is available for purchase through their online shop. The company ships throughout US and Canada via via UPS or USPS. A dramatic thriller set against the backdrop of a series of historic events, DreamWorks Pictures/Fox 2000 Pictures’ “Bridge of Spies” tells the story of James Donovan, a Brooklyn lawyer who finds himself thrust into the center of the Cold War when the CIA sends him on the near-impossible task to negotiate the release of a captured American U-2 pilot. Screenwriters Matt Charman and Ethan Coen & Joel Coen have woven this remarkable experience in Donovan’s life into a story inspired by true events that captures the essence of a man who risked everything and vividly brings his personal journey to life. Directed by three-time Academy Award®-winning director Steven Spielberg, “Bridge of Spies” stars: two-time Academy Award winner Tom Hanks as James Donovan; three-time Tony Award® winner Mark Rylance as Rudolf Abel, a KGB agent defended by Donovan; Scott Shepherd as CIA operative Hoffman; Academy Award nominee Amy Ryan as James’ wife, Mary; Sebastian Koch as East German lawyer Vogel; and Academy Award nominee Alan Alda as Thomas Watters, a partner at Donovan’s law firm. The film is produced by Spielberg, Marc Platt and Kristie Macosko Krieger with Adam Somner, Daniel Lupi, Jeff Skoll and Jonathan King serving as executive producers. The screenplay is by Matt Charman and three-time Academy Award winners Ethan Coen & Joel Coen. “Bridge of Spies” will be released in theatres on October 16, 2015. Summer is here and I want to share this recipe from the newly launched Chic Choc Spiced Rum - The Dark ’N’ Stormy. Chic Choc Spiced Rum, made in Canada, is produced with six indigenous spices, creating a fresh take on rum that features a spicy bouquet with nuances of sugar cane and cinnamon, complemented by a subtle peppery tone. 2. Add Chic Choc Spiced Rum, ginger ale and lemon juice. 3. Garnish with the sprig of spruce. The Royal Family of Reggae, Morgan Heritage, has been humbled by the feedback and success of their recently released Strictly Roots album, which reached #1 on the US iTunes Reggae Chart and Billboard Reggae Chart. The album also debuted at #2 in Switzerland and Holland, #8 in the UK, #3 in Germany and #4 in France on the iTunes Reggae Charts. The Royal Family of Reggae embarks on the second leg of their North American tour today after a successful European promotional journey. Morgan Heritage will hit the road with the first performance slated on June 24th in Albany, New York. The sensational roots reggae quintet comprises siblings Peetah Morgan (vocals), Una Morgan (keyboard/vocals), Gramps Morgan (keyboard/vocals), Lukes Morgan (rhythm guitar) and Mr. Mojo Morgan (percussion/vocals). They will perform from their blockbuster album such hits as "Perform and Done" and "Light It Up" featuring Jo Mersa Marley, the grandson of the iconic Bob Marley and son of Stephen Marley. Morgan Heritage will bring reggae music and all that it encompasses to non-traditional markets such as Boise, ID, Spokane, WA, New Orleans, LA, and many other cities on the tour. Things are about to get hot in the Greater Vancouver area but there are easy ways to keep cool as the heat rolls in, especially in regards to food preparation. Get outside and keep cool; Fire up the grill to combat the heat . Try one of these easy recipes (courtesy of Angie Quaale, owner of Well Seasoned). GRILL IT! Keep the ovens off and living easy with this simple recipe. 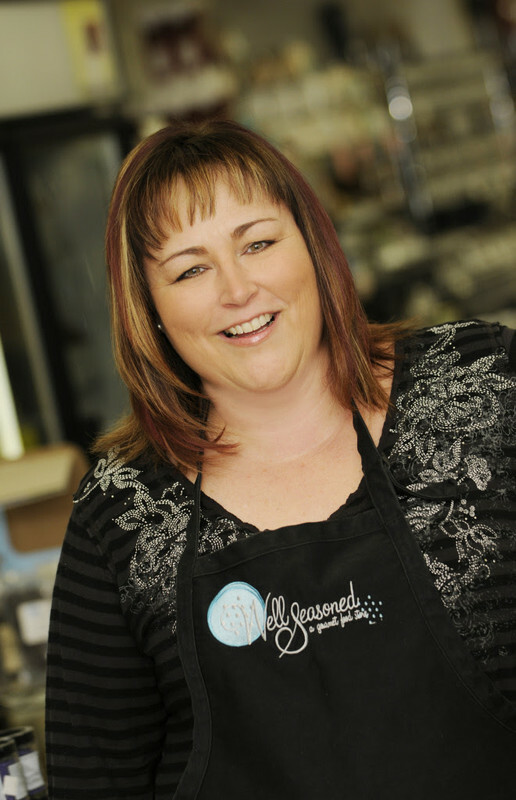 Owner of Well Seasoned, Angie Quaale. In a non-reactive baking dish large enough to hold all the chicken to marinate, whisk together the vegetable oil, citrus zests and juices, cayenne pepper and the thyme. Add the chicken thighs and turn to coat. Let marinate for at least 30 minutes or up to a couple hours in the refrigerator. Remove the chicken from the marinade and let excess drip back into dish. Place chicken on the hot grill, allowing space between each piece. Serve immediately with steamed rice and a fresh salad. FREEZE IT! Cool down anytime with these homemade avocado Popsicles. Delicious, nutritious and cool Avocado Popsicles for all. Makes a Great Treat for Canada Day Celebrations! Bring water and sugar to a boil together in a saucepan; stir continually until sugar dissolves. Set aside to cool. Insert the Popsicle sticks and freeze until firm. I had the chance to attend the "Fun Mandarin for Kids" program that was funded by the Neighbourhood Small Grants that one of the moms applied for. It was held Thursday morning (June 18th) at Clinton park. Because it happened during the school day, the older children could not participate, but there were several parents with toddlers. Many of the parents communicated to each other in Chinese Mandarin (and some both Mandarin and Cantonese) as well as English. We introduced each other with those we haven't met before. The parents gathered the children from the playground and they all had fun blowing bubbles together. It was fun to see the children enjoying it. 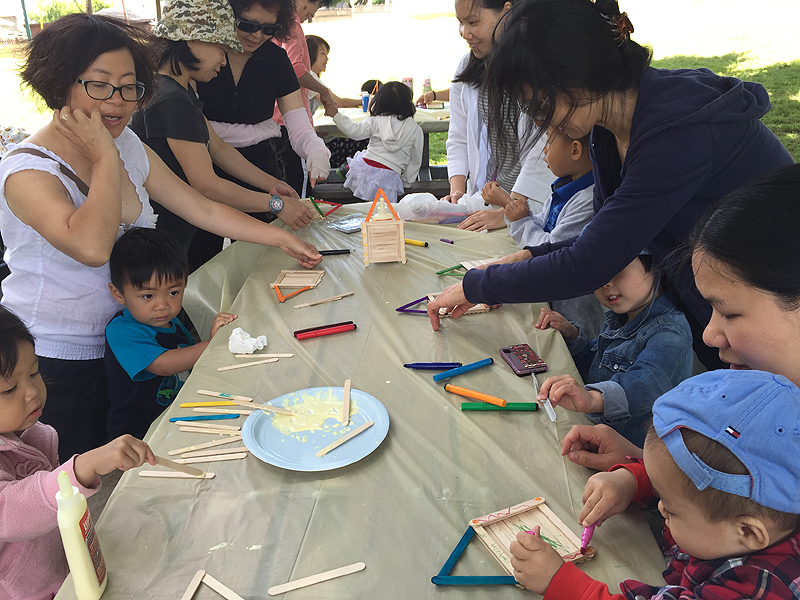 After playing, we had craft session, making photo frames using popsicle sticks. I made one as well to give our little one to color and decorate his own. We had circle time on the grass while we set our crafts to dry from the wet glue. During circle time, one of the moms had an interactive story prepared for the children. She told the story in Mandarin and sang songs. Our Little One loves storytime. Though he doesn't know Mandarin (I'm learning too), it would be a great opportunity to learn, have fun and get familiar. The children really loved the interactive board with the cute drawn animals. When it was over, it was time for lunch. We had a small picnic. The organizers brought snacks, juice boxes for the kids, and sticky rice wrap (which is a Chinese dim sum with steamed sticky rice wrapped in banana leaves). The filling contains pork, salted egg yolk, and split mung beans. When my grandma was around, she used to make these when I was little. 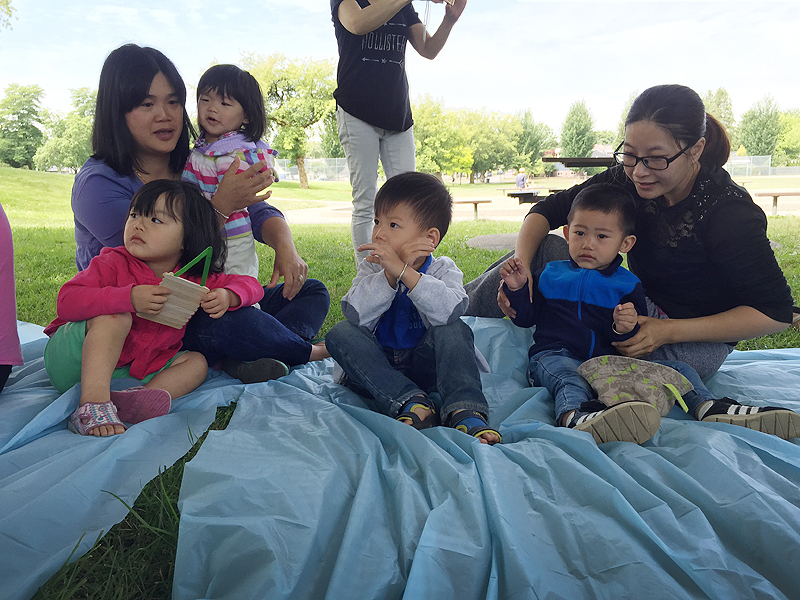 Overall, it was a nice get-together for moms to met each other and to get to know each other better and fun for the children to be able to learn Mandarin through storytime and crafts. Also, it was a great time for the kids play together and bond with the parents/grandparents. What I would have liked to see more from this program is other activities and game-based learning or even short lessons for learning Mandarin. Watch Picjoy instantly organize your photos for you - no matter where they are stored! Search by category or keyword to retrieve any photo you've ever taken right from your mobile phone. PicJoy is an alternative photo library app that automatically organizes all of your photos and allows you to find them instantly. It helps you get organized by regording and gathering information such as date, weather, season, special holidays, people, location, and events that happened. You can also customize how your photos are organized by adding your own tags. This is a neat feature I really like. It's really helpful when I have so many photos I've taken on my iPhone. Picjoy photo app will also be available for the Android market on Google Play soon so be looking for it! Contest is open to US residents only, 18+ (ends June 30th, 2015 at 11:59pm CST). All entries unless otherwise noted are optional. Please enter the giveaway form below. Please only claim an entry if you complete it. Winner will have 48 hours to respond or a new winner will be chosen. Please read the complete Terms and Conditions at the bottom of the giveaway entry form for details. Good luck! 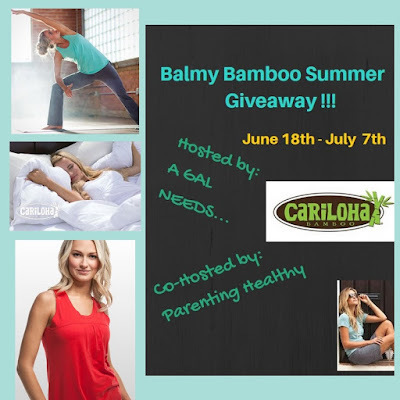 Welcome to the 'Balmy, Bamboo Summer' Giveaway! Caribbean style and Hawaiian aloha were the inspiration behind Cariloha – a combination of the two words. With more than 20 years vacationing, working and serving in the Caribbean and Hawaiian Islands and the cruise ship ports throughout the Yucatan Peninsula, Mexican Rivera and Bahamas, the Cariloha team became steeped in the culture and lifestyle of the islands and the beachfront shopping experience. 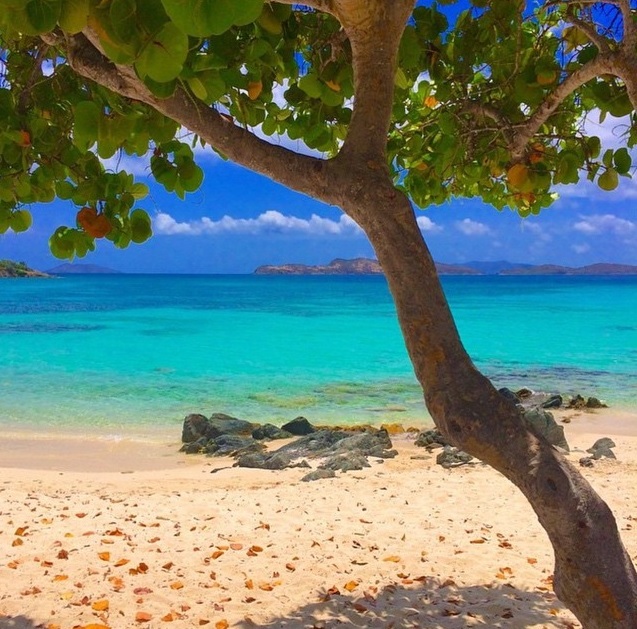 We wanted to take our love of the Caribbean and Hawaii with us everywhere, and we realized that we weren’t the only ones who wanted to enjoy the islands day in and day out. Now you can feel like you're on vacation everyday with Cariloha bamboo clothing, bedding and bath. 20% OFF Special! Special Discount Code - Receive 20% off on all Cariloha products now through July 12th when you use GALNEEDS20 at checkout! 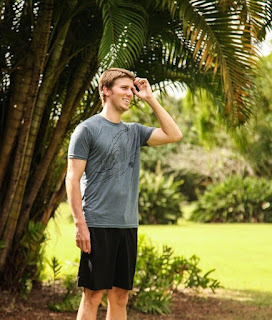 ONE (1) lucky winner will receive a $100 Gift Code To Cariloha! Contest is open to US residents only, 21+ (ends July 7th, 2015 at 11:59pm EST). All entries unless otherwise noted are optional. Please enter the giveaway form below. Please only claim an entry if you complete it. Winner will have 24 hours to respond or a new winner will be chosen. Please read the complete Terms and Conditions at the bottom of the giveaway entry form for details. Good luck! Their colorfully passionate music tugged at heartstrings and had tastemakers dancing around the room all in one fell swoop, with praise pouring in from the likes of Billboard, Spin, Alternative Press, Vice NOISEY, Guitar World, & major buzz from the blogosphere and HypeM heavy hitters like The Wild Honey Pie, Earmilk and Baeble. Their lead single “Wolves” has been in full rotation on SiriusXM’s AltNation for over 10 weeks and has climbed the Alt18Countdown (based on fan votes) - where it has remained for 8 weeks, peaking at #7. It has also received spins on KROQ and reached #2 on alternative specialty radio's FMQB & KKBB charts. STREAM THEIR TRACK 'WOLVES' HERE. If you want to celebrate Father’s Day with a simple lunch or dinner at home that will make dad feel like a king, try making this hearty personal pizza that’s sure to please, and impress. Kontos Foods, provider of flatbreads, crepes and other ethnic foods, suggests using ready-made 7-Inch Pizza Parlor Crust to make this seafood-inspired meal. This recipe adds a delicious Mediterranean twist to the always satisfying traditional pizza pie. Simply follow these easy steps to surprise and delight any dad, grandfather, and all the special men in your life. 2. Sauté raw shrimp, garlic, and scallions in the olive oil for about 1 minute, or until the shrimp turn pink. 3. Using a slotted spoon, remove the shrimp, scallion/garlic mixture and set the seasoned olive oil to the side. 4. Spread the mozzarella and Parmesan cheese onto the pizza crust. 5. Spread the shrimp and scallion/garlic mixture on top of pizza evenly. 6. (Optional) Evenly drizzle seasoned olive oil over the top. 7. Place topped pizza into the oven on a pan (Tip: Place directly on rack for a crispy crust). Note: Toaster ovens are ideal for Kontos Foods Pizza Parlor Crusts! 8. Conventional oven - Bake for 6-8 minutes; Convection oven - Bake for 5-6 minutes. 9. Remove from oven with a baking sheet or pizza spatula. 10. Top with quartered cherry tomatoes and chives or dill. 11. Let cool for 1-2 minutes. 12. Slice into 4-6 slices. Note: Oven baking times can vary. Flatbread pizza is ready when the cheese is melted completely and edges are medium brown, to liking. Kontos 7-inch Pizza Parlor Crusts comes five to a pack. Kontos sells its products to retailers and foodservice establishments across North America and around the world. Find Kontos Foods on Twitter @KontosFoods, on Facebook at https://www.facebook.com/Kontosfoods and on Pinterest at https://www.pinterest.com/kontosfoods/. Welcome to the X-Port Expandable Art Portfolio Giveaway! X-Port Professional Expandable Art Portfolio Case for Art Canvas, Advertising, Foam Boards, Photography, Presentation Aids, Product Samples, Monitors, or Documents. Opens up to 6" Depth for Insertion When Expanded. Twice The Capacity Of Competing Portfolios! Expands To An Amazing Six Inches Of Depth And Fits Items That Don't Fit In Ordinary Portfolios, While Remaining Light And Easy To Transport. It Will Hold Up To 24 Foam Boards, Several Framed Pieces Of Art, Or Bulky Product Samples. 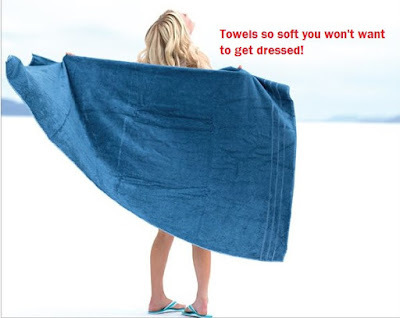 Constructed From Tough 600 Denier Polyester, Which Is Tear-Proof, Water Resistant, And Cleans Up Easily. Loads Easily From The Top - No Zipper To Get In The Way! Revolutionary Design Combines Rigid Sides and Expanding Gusset Resulting In Outstanding Protection That Stands Up On Its Own And Keeps Your Valuable Materials Protected. Leatherette-Wrapped Top Handle And Adjustable, Detachable Shoulder Strap With All Metal Hardware Make It Easy To Carry For People Of All Heights. Includes Business Card Holder That Can Be Used As An Identification Sleeve. ONE (1) lucky winner will receive a X-Port Expandable Art Portfolio Case 20"x 26"x 6" ($110 RV)! Contest is open to US residents only, 18+ (ends July 8th, 2015 at 11:59pm EST). All entries unless otherwise noted are optional. Please enter the giveaway form below. Please only claim an entry if you complete it. Winner will have 24 hours to respond or a new winner will be chosen. Please read the complete Terms and Conditions at the bottom of the giveaway entry form for details. Good luck!